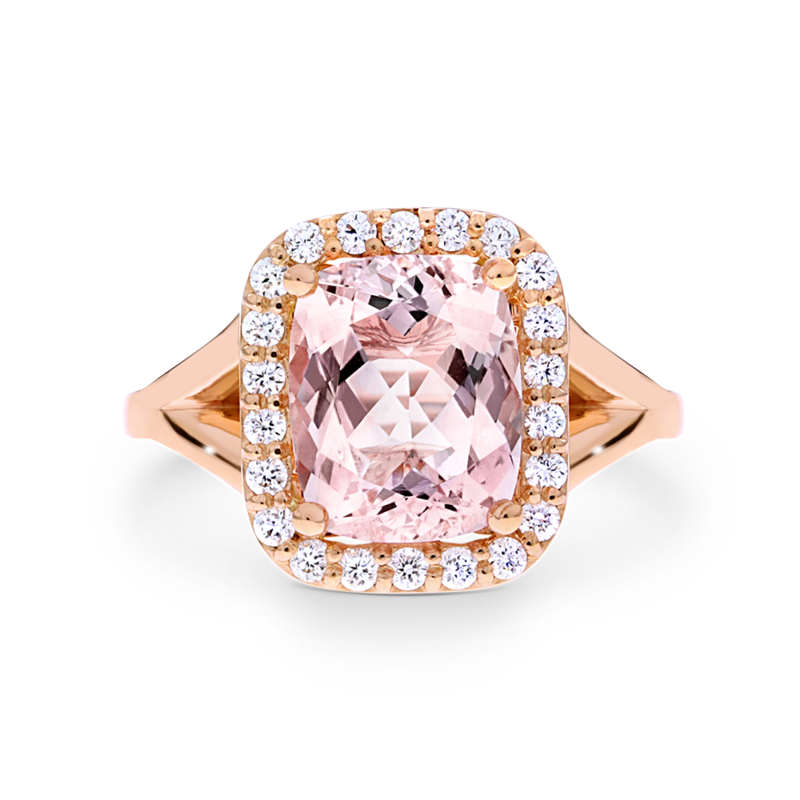 An elongated cushion-cut morganite makes a bold impression in this ADC Priscilla setting that follows clean lines. A fine halo enhances the centre stone with contrasting white diamonds. Available in a wide range of centre stone carat weights, and shapes. Available in 18ct white, rose and yellow gold, or 950 platinum.